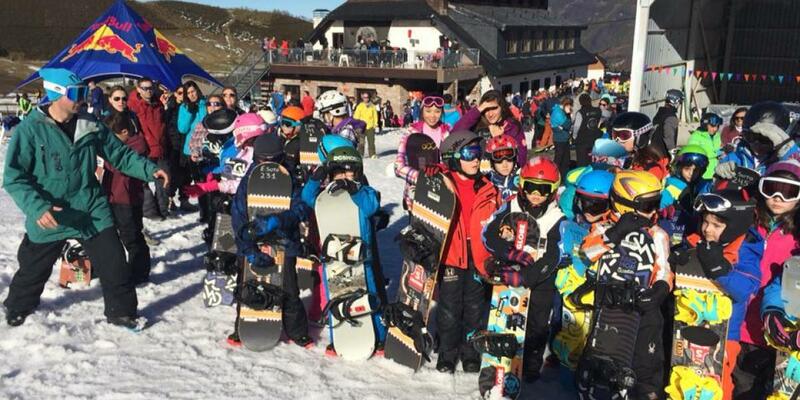 We Snow Club Asturias’ “Yes, we’re OPEN” event - WSD 20 January 2019 - cancelled due to lack of snow. We’re sad to report, the “Yes, we’re OPEN” event was canceled due to a lack of snow and some unreasonable weather. We’re exploring options to reschedule this great event for later this winter. A new date for the event will be announced when conditions allow. “Yes, we’re OPEN” event is hosted by We Snow Asturias. It’s a great opportunity for any level snowboarder aged 6-16 to get some tips to further their ability. Snowboard riders of any level are welcome. FREE rentals will be offered at Soto Sports in Valgrande-Pajares: They ask that those interested arrive the morning of the event. Reservations must be made in advance through Escuela Española de Esquí & Snow Valgrande-Pajares. Escuela Española de Esquí & Snow Valgrande-Pajares’ instructors will be giving free lessons and they will also be taking reservations at least ten days in advance. It will be first come/first serve up to a limited number of 20 kids. Free fruit and drink will be offered to participants. We are looking forward to having plenty of hot smiles of kids very soon! Stay tuned!